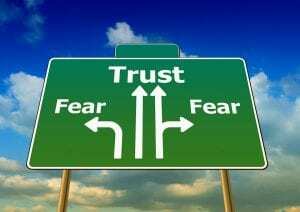 You can trust somebody for years, but the moment they exclude you or ignore you, or express any form of negativity toward you, the social awareness circuits in your limbic brain (midbrain, cingulate cortex, and insula) are triggered. Did you know that when people are placed in brain scanners, we see that even a brief momentory hurt can permanently undermine trust ? So, if you want to be a leader – at work or at home – you have to become exquisitely sensitive to these neurological trust mechanisms. This means that you have to re-frame any anger or disappointment in a way that will be perceived by the listener as kind, compassionate, and caring. And be careful as even a frown, or the word “NO,” is enough to trigger a defence mechanism in the other person’s brain. With practice, you can transform rejection or mistrust into long-term cooperation and mutual trust. Why releasing your negative emotions matters ? “I love my sessions with Anne, because not only do I feel I can use the time to work through any current stresses in my life, Anne’s wisdom, experience and marvellous sense of energy make her a brilliant counsellor/coach. I have seen improvements in both professional and family relationships, and most importantly I always leave Anne feeling stronger and more positive. We all need that helping hand, I’d recommend her to anyone”.